The history of Vernaccia di San Gimignano wine goes back to Dante who mentioned it in his Divine Comedy, then Sante Lancerio, wine steward for Pope Paolo III Farnese, wrote about it in his wine reviews and it is the wine that Vasari, Michelangelo, and Redi all highly praised. It is produced in the white territory in Tuscany of the great red wines, and is definitely confirmed a contemporary wine that has a local as well as a global soul. Sixty per cent of the production is sent abroad, while half of the remaining forty per cent is sold in Italy, in the city of the towers, the “New York” of the 14th century, where 1 bottle out of five is sold or consumed. 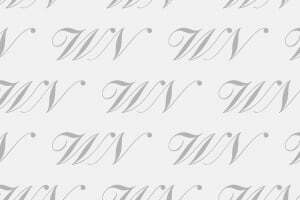 These numbers, coupled with the 2018 vintage, boasting good quality and excellent quantity (25% increase compared to 2017), are the basis as the territory is approaching its Preview on February 10th for wine lovers and on February 13th for wine traders. The event that has been organized by the Vernaccia di San Gimignano Wine Consortium will spotlight the 2018 vintage and the 2017 Riserva. “The Preview (40 wine producers will participate in the rooms of the Museum of Modern and Contemporary Art De Grada, 100 wines of Vernaccia di San Gimignano for the tasting and for the technical tasting reserved to the press, plus many others from previous years, ed.). This is the top promotional event we organize in the territory”, said Letizia Cesani, president of the Consortium, “and it gives us great satisfaction that every year we see a growth in the number of participants, both Italians and foreigners, in the three categories we target: press, wine traders and consumers. 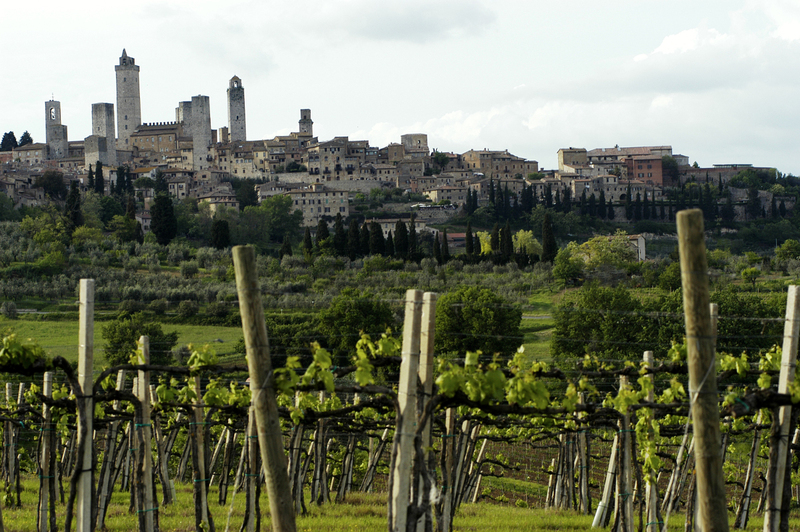 Our goal is to make Vernaccia di San Gimignano and our territory well known all over the world. We are aware that we represent an important economic product for the territory, not only for the production and marketing of wine, but also for the wine tourist industry that we promote. Our ongoing search for quality, first of all in our wines, but also to the attention for the environment and the tourist offer, is in our motto: only great quality can make the link between wine and the tourism phenomenon last a long time”. The main characteristic of the 2018 vintage is that it has returned to normal after the many strange incidents over the last few years. The weather turned cold at the right time, it rained enough to restore water reserves (abundantly in the first seven months of 2018, when 586.5 mm of rain fell in San Gimignano – while 532.42 mm fell in all of 2017 –challenging moments for the producers), spring and summer recorded average temperatures, dry heat and refreshing rains.The vegetative phases of the plants were also within the norm, which meant that the harvest began in the second decade of September and the quantity of grapes was normal. After the difficulties of 2017, which recorded 26% decrease in production, the 2018 harvest produced 39.600 hectoliters of wine from the 720 hectares of vineyards for the production of Vernaccia di San Gimignano, which is 25% more than 2017, meaning these numbers have brought production back up to normal. The Consortium further explained that from a sensory point of view, Vernaccia di San Gimignano 2018 has a lower alcohol content than in recent years. Acidity and structure, instead, depend on the time that wine producers chose to harvest. In other words, wine produced from grapes harvested in the first half of September are lighter, fresh and acidic, while those in the second half of the month have more structure. At the moment, it is difficult to make predictions about the longevity of the vintage; we still need to wait a little longer to evaluate it. Generally, 2018 productions are sufficiently ready in this period of the year, thanks to fermentations that began well and continued smoothly, even though, in order to reach their full expression, they need a longer period of maturation. Vernaccia di San Gimignano Riserva 2017 wines are generally very powerful, alcoholic, and have a robust structure. As was expected, due to the drop in production in 2017 (-26%), the data for bottling in 2018 also decreased, even though there was a decrease in stocks, too: 4.630.241 bottles of Vernaccia di San Gimignano were produced, equal to a 10% drop in production compared to 2017, 12.5% compared to the average for the last five years. These numbers have also inevitably affected the turnover of the denomination, which was 13.2 million euros (40% of the total value of the wine sector in San Gimignano), showing 15% decrease on the same number in 2017. As far as exports are concerned, 27.5% of Vernaccia is sold on the European market, 18.9% on the American market, while 4.7% is sold on the Asian markets. In Europe, the German market has been confirmed the number one market, which alone accounts for 9.8% of exports, then Switzerland (3.8%), England (2.7%) and the Netherlands (2.6%). But the absolute top market is the US, which receives 16.3% of production. 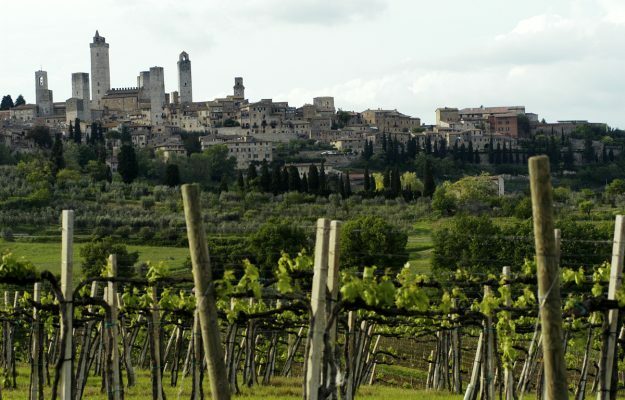 Half of the 42% of Vernaccia directed to the Italian market, instead, is sold in San Gimignano, directly at the companies and shops in the territory.